3 Words to Bliss: Yes. No. Peace. The three most practical, magical, profound words, in any language, are also the simplest. They are Yes, No and Peace. As long as we say Yes when we must say so and say No when we must say no, and as long as we work for Peace and never fight ego battles, we will always be blissful. The trouble is when we end up swapping yes for a no, or vice versa, because we are caught up in playing good and looking good than feeling good. Right from saying no to a visitor who arrives unannounced at your workplace or home, when you are busy with other priorities, to saying yes to goofing off with the family because you want to catch up on email on Sunday night, ahead of a busy week, we have a skewed sense of how to think, live and work. Resultantly, we end up getting stressed out over situations which otherwise could have been very peaceful. Just consider this: had you politely told off your surprise visitor, wouldn’t you have been more peaceful? Or had you chosen fun over mail at home, opting to wake up early Monday morning and work while the family was still asleep, wouldn’t you have been more at peace? These are simple, seemingly innocuous moments in an otherwise more complicated Life. But it is important to recognize that how you live the small moments of your Life determine how you live Life on the whole. Another dimension of our lives where peace is a casualty is the battles we choose to fight. 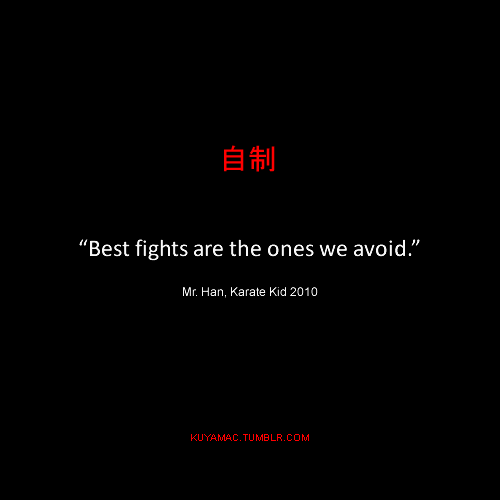 In fact, as someone said so wisely, the best way to win a battle is to not fight at all. And even if you must fight, work for peace than fight an ego battle. Many a time, we get caught up in situations where the ego comes in the way of a resolution. The ego feeds on fights. So, whenever you differ with someone on any issue, and your disagreement, for whatever reason, turns acrimonious, then work for peace. Don’t let your ego feed on the fight. Know that just as you are entitled to your opinion, others are too. And if constructive confrontation__the ability to resolve conflict in a civilized, dignified manner__fails, then there’s no point being in the battle at all. When you don’t fight, when you don’t contest, when you don’t mind being ‘defeated’, how can you not be at peace? 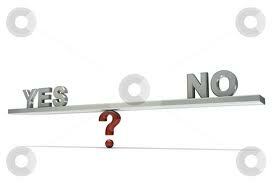 So, if it is bliss that you are looking for, keep it simple: Say Yes when you must yes and say No when you must say no. And don’t ever let your ego lead you into a fight where, among many other things, you may well lose your inner peace! Author AVIS ViswanathanPosted on January 22, 2013 March 14, 2016 Categories Art of Living, Battle, Bliss, Fight, Inner Peace, Intelligent Living, No, Peace, YesLeave a comment on 3 Words to Bliss: Yes. No. Peace.